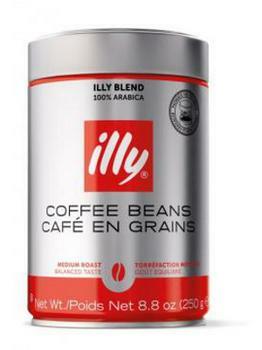 This recall involves only Whole Bean 250 gram/8.8 ounce cans of illy coffee in medium, dark roast and decaf with no air valve on the bottom of the canister with a best by date of 10/2019, 11/2019, or 12/2019 printed on the bottom of the can. The silver, cylinder-shaped coffee cans have the “illy” logo printed on the front with a red, black or green-colored accent line across the top and bottom of the can. The coffee cans, manufactured in Italy, were sold at Bed Bath & Beyond, Kroger, Shoprite, Sur La Table, Target, Whole Foods, Williams Sonoma, and other stores nationwide and online at Amazon.com and Jet.com from November 2017, through May 2018, for about $15. Consumers may contact illy toll-free at 855-282-4682 from 9 a.m. to 5 p.m. (ET) Monday through Friday, by email at caninfo@illy.com or online at www.illy.com/caninfo for more information.